The Trump administration's new goal of returning astronauts to the surface of the moon by 2024 — five years earlier than planned — is a huge gamble with the prestige of the United States. Why it matters: If it succeeds, this week could be remembered as the turning point that restored some of the space program's lost glory. But that's a big if, since the rockets and spacecraft are nowhere near ready. And if it fails, it would be a huge embarrassment to the nation that did all of this once before and couldn't do it again on deadline. The last American to set foot on the moon's surface was Eugene Cernan in 1972. That was back when America had a clear purpose in space. Now, we're a country in search of a vision. In setting the five-year timeline, Vice President Mike Pence, who chairs the National Space Council, gave stark instructions to an agency that strives to be both bold and relatively risk-averse: "In order to succeed... we must focus on the mission over the means." The Lunar Gateway isn't ready either. NASA has begun testing a new spacecraft, the Orion, designed to fly on the SLS to transport astronauts to and from lunar orbit. But it hasn't flown with astronauts yet. And we don't yet have a ready-to-go lunar lander or a rover to let astronauts move around on the lunar surface. The technology isn't an issue, experts say. We have the technology to return to the moon easily. We just have to build and test the stuff — without a lot of time or money. The private space economy stands a lot to gain if the project goes forward. If the SLS rocket fails, it could be a boon for another private sector space company — like SpaceX. Even without that, private companies are rapidly commercializing space and are partners in any moon mission. The private space industry is already on track to be more than a trillion dollar economic sector by 2040, according to Morgan Stanley research, as NASA offloads its low-Earth orbit duties to private companies. The numbers that matter: Earlier this month, the Trump administration sent a new NASA budget to Congress that requests $21 billion for the agency. That's a 2% cut for the agency as a whole compared to Fiscal Year 2019. That's after many years of flat funding — far below the levels of the Apollo era, when viewed as a share of the overall federal budget. The budget does not include an overall 2024 moon landing program, though it includes a $360 million line item for developing a new lunar lander, that the administration hopes to grow to more than $2 billion by 2024. Space experts tell Axios that the administration risks repeating the mistakes of past White Houses by outlining ambitious programs and underfunding them. The backstory: NASA also has been buffeted by changing priorities from administration to administration. A poster child for this was George W. Bush's Constellation Program to return astronauts to the moon in 2020 and subsequently launch Mars missions. The Obama administration canceled it after a blue-ribbon commission concluded it had been chronically underfunded and needed a massive cash infusion. 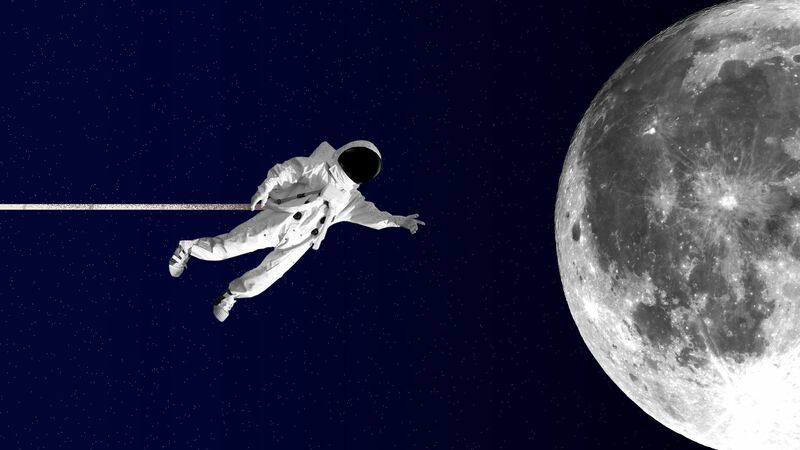 The big question: What would we do when we get back to the moon in five years? Just do another moonwalk? Or do something new? Pence didn't say, other than repeat the agency's long-term goal of a permanent lunar base. “What the larger mission is has’t really been defined,” Robert Pearlman, a space historian, tells Axios. For example, we could simply set foot on the moon again, and return home, or NASA could set out to build a permanent base. Which path the agency takes would alter the technologies involved and hardware required. The bottom line: A successful moon mission could be a huge accomplishment for the Trump administration and the United States — but the risk of a missed deadline, or a failure due to chronic underfunding, is extraordinarily high. Editor's note: An earlier version of this article incorrectly reported the White House's 2020 NASA budget request. It is $21 billion, a 2% cut from Fiscal Year 2019.